The Executive Master Occupational Safety and Health Management (EMOSHM) is an executive master level qualification that is more industrially focused than the traditional master programme. EMOSHM is both full-time or part-time, modular-based postgraduate programme designed to provide executives with comprehensive philosophical, technical and scientific knowledge required by individuals seeking professional management and administrative positions in the industry. 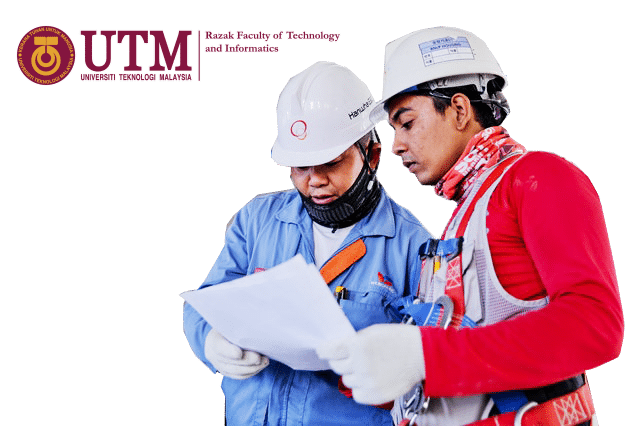 This programme is most suited to those who wish to further their education without having to quit their jobs and to those with an interest to pursue a higher level of qualification in the field of occupational safety and health. Become an expert in the management and skill of occupational safety and health, able to plan and apply knowledge in various industries. Lead and work together as a team efficiently, communicate effectively in the field of occupational safety and health management. Execute responsibilities ethically and professionally to the community and environment whilst complying with the global standards of the occupational safety and health management. Adapt current knowledge to suit any change in the industrial environment. To integrate and apply advanced knowledge and skill from the related fields for the management of occupational safety and health effectively. Able to apply research method skills in occupational health and safety management studies through quantitative and qualitative methods. To analyze and solve problems related to the occupational health and safety management. To adopt the principles and values, and adhere to the code of professional ethics of the occupational safety and health management by considering the importance of the environment and society. To explore and adapt knowledge and to analyze the variety of occupational safety and health issues based on the latest technology development and the current legislation requirement. Able to manage and work cooperatively in teams in solving occupational health and safety issues. This program is offered on Package 01 and Package 02 basis and based on a 3-Semester and 5-Semester Academic Years with several subjects being delivered and assessed in each semester. Assessment is based on post module assignment, presentation, case studies and project presentation conducted throughout the semester. MRSA 2063 : Disaster Management and Resilience. MRSA 2073 : Environmental Hazard and Hazardous Waste. MRSA 2083 : Industrial Ergonomics. MRSA 2093 : Major Accident Hazard. MRSA 2103 : Project Management for Sustainable Reconstruction. MRSA 2113 : Forensic Engineering and Investigation. Graduates of this programme were active employment in occupational safety and health work environment such as offices, factories, mines and off-shores or on-shores. They can become better informed and more self-reliant entrepreneurs and future captains of industry in the ever-expanding field of occupational safety and health specialist. Graduates of this programme are adequately equipped with essential knowledge and skills which are applicable to a range of occupational and professional needs within the occupational safety and health work environment that focused in conducting tests and measuring hazards to help preventing harm to workers, property, the environment, and the general public. Employment of occupational health and safety specialists and technicians is expected to grow about as fast as average for all occupations through Vision 2020, reflecting a balance of continuing public demand for a safe and healthy work environment against the desire for smaller government and fewer regulations. Since the Ministry of Human Resources has stated implementing occupational health and safety practice, emergency preparedness has become a greater focus for the public and private sectors, and for occupational health and safety specialists and technicians. Additional job openings will arise from the need to replace those who transfer to other occupations, retire, or leave for other reasons. In private industry, employment growth will reflect industry growth and the continuing self-enforcement of government and company regulations and policies.